Find out more about KAUP and get to know better the innovative german family-run company. Your Fork Positioner needs a new sliding guide? 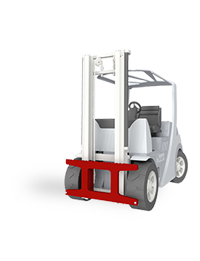 The Stationary Device for Material Handling needs to be serviced after many running hours? Do you need support during commissioning your new Container Spreader? Then KAUP Service and After Sales Department is the correct contact point. Because here our competent employees answer any question concerning our products which can arise after choosing KAUP quality.